After purchasing this product, you will be sent a unique Kogan Mobile voucher by email within 24 hours and a Kogan Mobile SIM Starter Pack by post. Once you have a Kogan Mobile SIM Card, simply visit the Kogan Mobile activation centre to redeem your unique voucher. You will be able to activate and start using your DATA PACK plan without any additional charge. 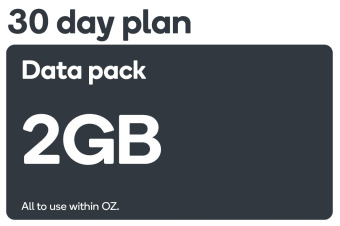 If you’re looking for a data-only plan or need a top-up to get you through, our convenient DATA PACK is your big value solution. Switching to Kogan Mobile is quick and easy in just a few steps. † 4G is available in selected areas in Australia with an active prepaid recharge and a 4G device. See koganmobile.com.au/coverage. Personal Use and Fair Use policy apply. Not for commercial or resale purposes. All Kogan Mobile Plans are prepaid. The full amount of each Plan must be paid upon activation, recharge or purchase of a voucher. 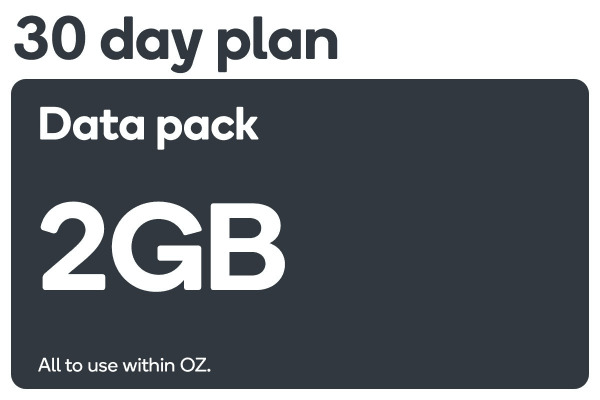 A Kogan Mobile SIM card must be ordered from kogan.com or dicksmith.com.au before a Prepaid Plan can be activated. SIM delivery takes up to 10 working days, after which you can activate your Plan. Data sessions are rounded to the nearest KB. Once data inclusion is exhausted, you will need to purchase a data pack or recharge to continue using data. Unused data expires on next recharge, the beginning of the next 30 day block or expiry date of the recharge, whichever is earlier. For 30 Days Plan: data expires after 30 days or upon next recharge, whichever occurs first. If Data for 30 Days is exhausted before the 30 days has elapsed, access to data will cease until the beginning of the next 30 day block (if any), or the customer recharges or purchases a data pack. The only surprise you'll get is how little you'll pay!